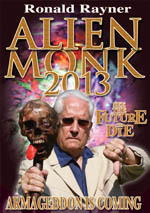 Following one hundred per cent accuracy in his predictions using his Crystal Skulls, Ronald Rayner’s latest book ‘Alien Monk 2013 – Armageddon is Coming’ is available to purchase now using paypal. illustrated with spectacular full colour photography. 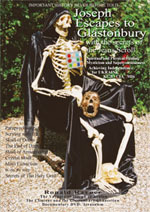 Ronald Rayner’s book ‘Alien Monk 2012 – Skulls of the Apocalypse, A New Book of Revelations’ is available to purchase now using paypal. Buy Alien Monk Two – Darkness Shall Cover the Earth. 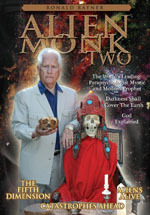 Ronald Rayner’s groundbreaking book ‘Alien Monk Two – Darkness Shall Cover the Earth’ is available to purchase now using paypal. 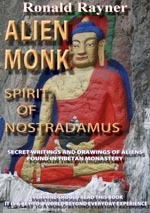 Buy Alien Monk – Spirit of Nostradamus. 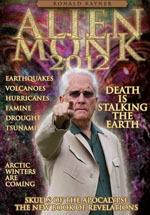 Ronald Rayner’s book ‘Alien Monk – Spirit of Nostradamus’ is available to purchase now using paypal. 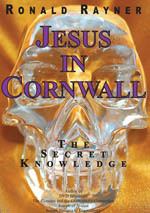 120 page paperback illustrated with spectacular full colour photography.